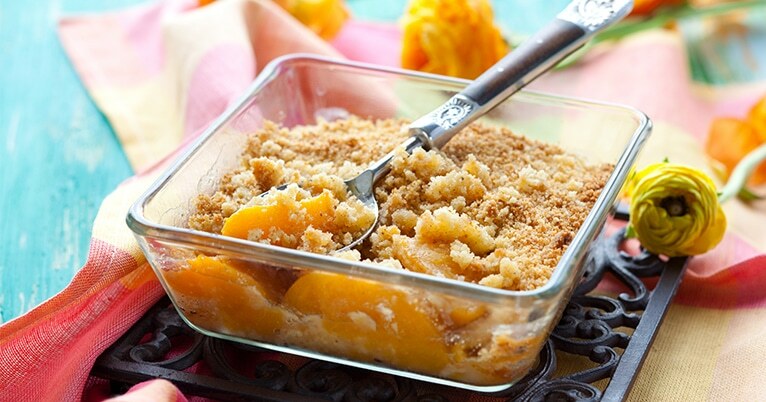 Arrange peaches evenly in a ½ size baking pan. Mix flour, brown sugar, butter, cinnamon, and salt in a bowl using pastry cutter until evenly crumbled. Fold oats into flour mixture. Sprinkle and press topping into peaches. Bake in the preheated oven until topping is slightly browned, approximately 30 minutes.